2014 Pediatrician Jobs | Salary, Availability and General Information. Pediatricians can also be defined as Paediatricians, General Pediatricians, Pediatrists, and Primary Care Pediatricians. They determine and treat infants and children who suffer from medical diseases or disorders, perform regular checkups and physicals to ensure good bill of health in children, and monitor growth and development. The duties of a pediatric physician include: examining infant and youth patients and performing diagnostic tests to obtain a medical diagnosis, tracking and recording growth and development, treating acute to severe illnesses, injuries, medical disorders and issues in children. Pediatricians focus on the health of children from birth to early adulthood. 4 years in medical school and 3-4 years of internship/residency. Extensive training in the classroom and clinical setting. 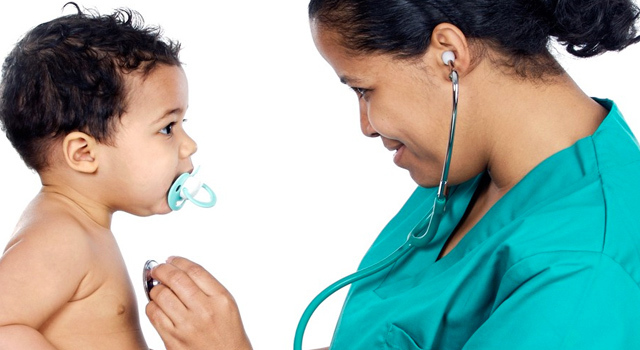 More than one-third of pediatricians have specialties. For Instance Hematologist-oncologists treat children suffering from cancer and blood disease, Pediatric Cardiologists focus on treating children with heart diseases, and Neonatologists are concerned with premature babies, or newborns suffering from birth defects. Many other pediatricians specialize in surgery, endocrinology, or helping developmentally disabled children. Specialties are very important in the medical industry as a majority of employers are looking for what makes you difference from others. In addition to providing medical care for kids, pediatricians also have administrative, research development, and teaching responsibilities. Doctors who choose to specialize in pediatric care do so because they have a genuine interest in helping children live longer, happier and healthier lives. Having the ability to effectively communicate with both children and parents is a necessary part of this profession. Pediatricians must be patient, and be good listeners who show compassion and understanding for the special needs of children in the early stages of their lives. A pediatrician will have many of the same skills a general practitioner will have, but will be responsible to provide diagnoses and treatments for a diverse range of medical conditions in infants and adolescents. Regular checkups are key in this profession. This entails monitor patients’ health, recording and assessing rates of growth and all other physical-development indicators. Most pediatricians work full-time hours, up to 60 hours per week. Pediatricians who are employed by hospitals or by clinics will often work on an on-call basis, in shift rotations. The highest-paid pediatricians out of any industry were those employed at outpatient healthcare centers. The average entry-level salary for pediatricians in the United States is approximately $135,000. According to the U.S. Bureau of Labor Statistics, the median annual pediatrician salary is $167,640. The top 10% of pediatricians earned $86,900 or less per year. The expected number of positions for pediatric physicians in the U.S. is 30,560. For our full review on this check out, Using all the tools for finding medical employment If your interested in finding a job as a pediatrician, please check out our Pediatrics Job Board. We provide jobs opportunities nationally for a wide range of physicians. The job outlook for physicians and surgeons today is climbing, with the profession expected to reach a job increase of 22% over 2010-2020, with a projected 24% job growth rate.